The Eurasian magpie or common magpie is a resident breeding bird throughout northern part of Eurasian continent. It is one of several birds in the crow family designated magpies, and belongs to the Holarctic radiation of "monochrome" magpies. 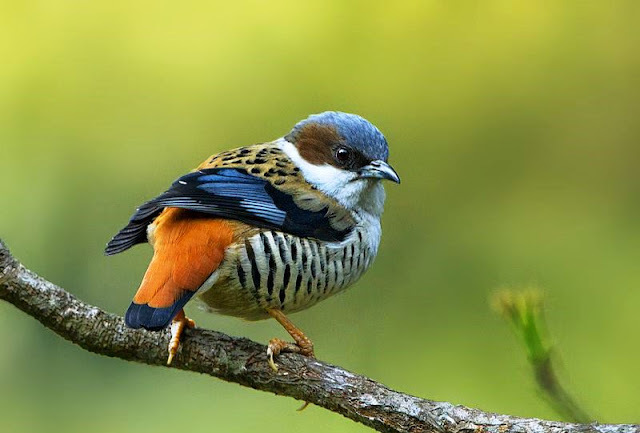 The common nightingale or simply nightingale, also known as rufous nightingale, is a small passerine bird best known for it's powerful and beautiful song. It was formerly classed as a member of the thrush family Turdidae, but is now more generally considered to be an Old World flycatcher, Muscicapidae. Common nightingales are so named because they frequently sing at night as well as during the day. The name has been used for more then 1,000 years.Nightingales sing even more loudly in urban or near-urban environments, in order to overcome the background noise. The most characteristic feature of the song is a loud whistling crescendo, absent from the song of thrush nightingale. It has a frog-like alarm call. One of the world's rarest White Bird is Albino House Sparrow. Most White Wild Birds seen are leucistic, lacking pigment. They are extremely rare in themselves, but a true albino bird, with pink eyes and white feathers is incredibly rare. 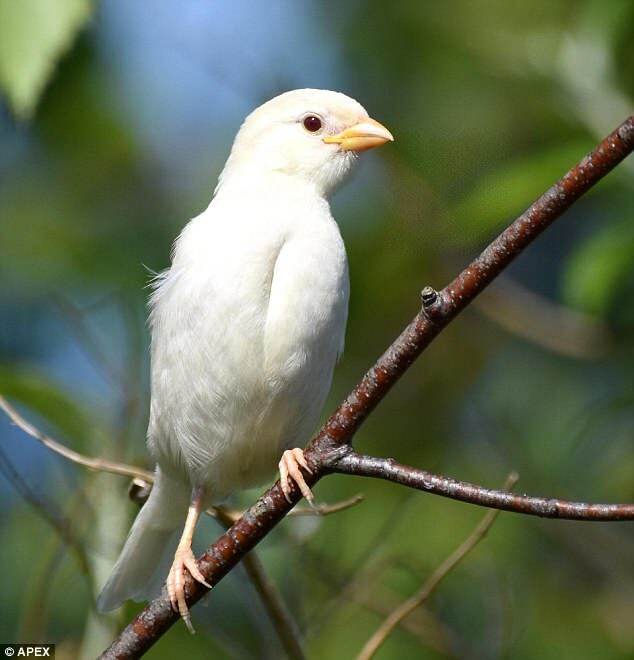 Albinos are one of the rarest birds in the world and are distinctive. 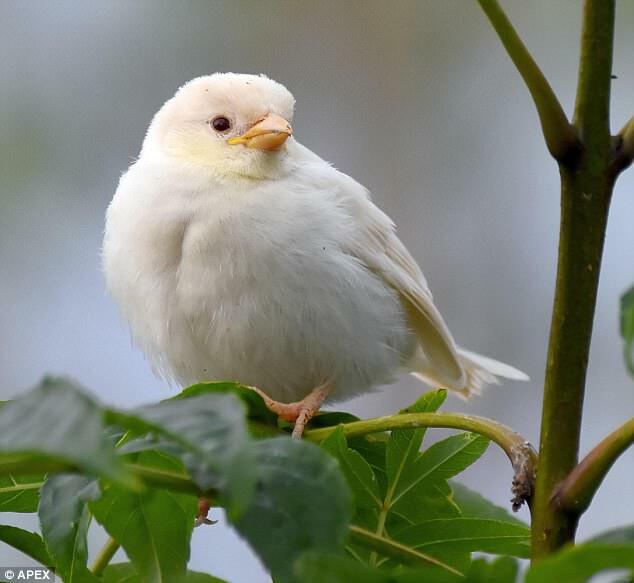 Unluckily Albino White Bird rarely reaches adulthood. Melanin serves some critical functions in vision and in protecting the eye from UV radiation. Hence, they are easy targets for predators and they can’t see well due to poor eyesight to spot danger and don’t survive long in the wild. Albinism is a genetic condition which is known to affect around 300 different species of animal. Albinos that are white instead of their normal color are indeed rare. Therefore, about one in 20,000 humans are albinos, and at least 300 species of animals in North America have albino individuals. Miley Bull, the senior director of science and conservation, said the pinkness of the eye marks it as a true albino. Furthermore, Albinos have the similar characteristics of other members of their species. So, except their cells are unable to produce melanin a dark pigment that results in normal coloration in the skin, scales, eyes or hair. Albinos are rare because the genes for that trait are recessive, while the genes for normal pigmentation are dominant. Albinos caused by a lack of melanin, the chemical which gives cells, and tissues, their coloration. Without it, everything is colorless and appears as white. It is a recessive condition, meaning an individual needs two recessive alleles to trigger albinism. This is a rarity, as if there is one dominant allele it will overrule the albinism gene and make that individual a carrier of the condition. The leucistic bird is unusual because it is completely white from the top to head to the tip of its tail. A full or true albino is a very specific mutation with a well-known genetic cause similar across all vertebrates. 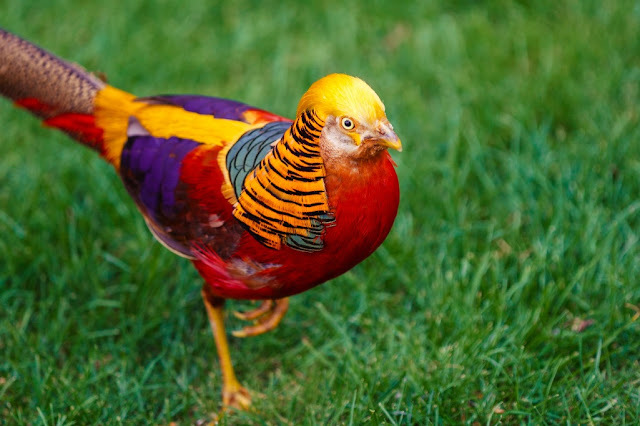 All of the plumage is white and the skin is unpigmented. Even the eye is unpigmented, and appears pink or red as we see the blood vessels in the retina. RSPB monitoring suggests a serious decline in the United Kingdom house sparrow population. It is estimated as dropping by 71 per cent between 1977 and 2008 with substantial declines in both rural and urban populations. Adult full albino birds are in effect never seen in the wild. 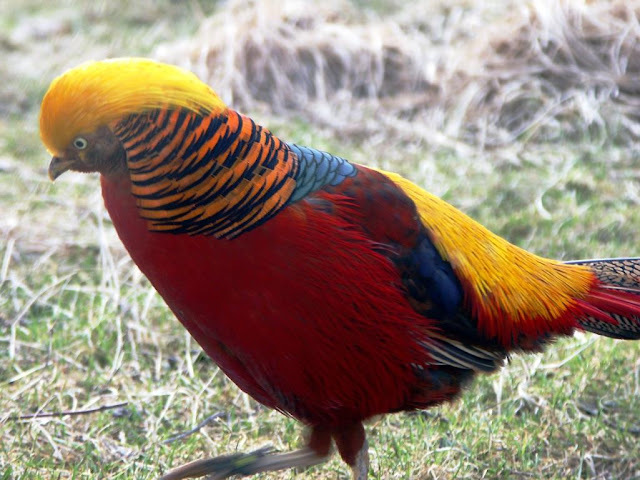 The inability to produce melanin does not affect the red carotenoid pigments, so the red color appears more or less as usual on this bird’s feathers and bill. 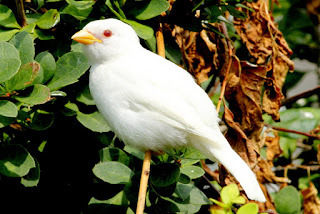 An albino bird is not necessarily all white! 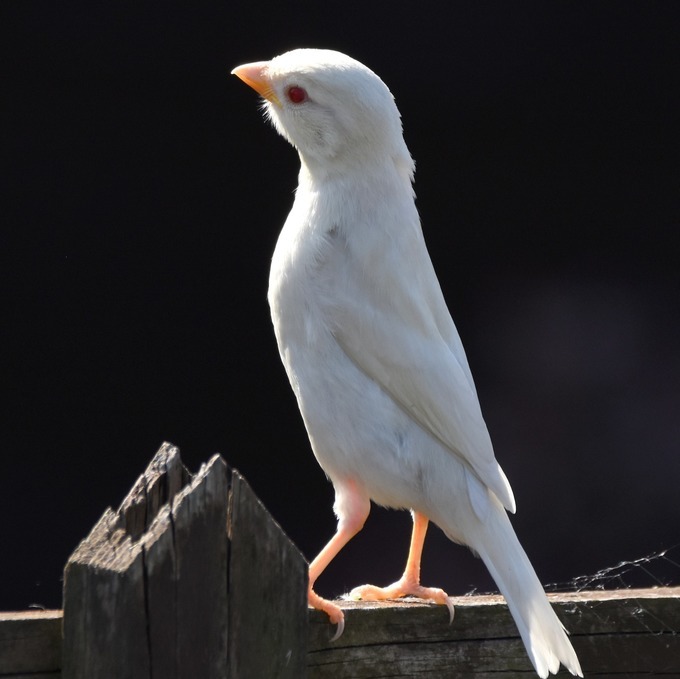 How to identify an albino Bird? 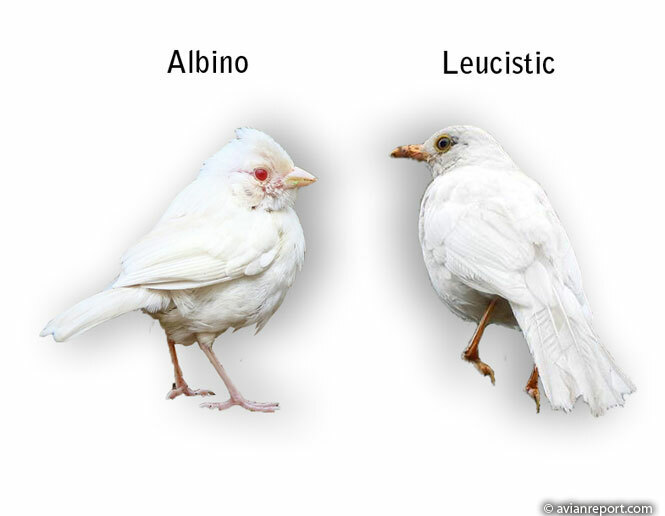 If the albino bird is alone, use the same elements as above and think of a species that occur in the area that fit those elements. These clues should give you an idea of which species of bird the albino bird is likely to be. 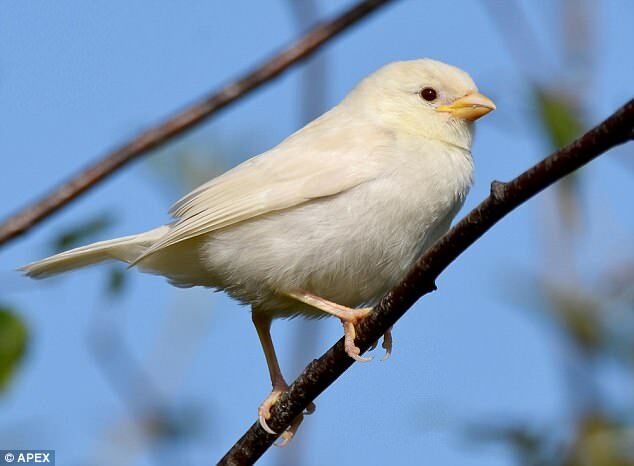 See the birds that associate with the albino bird. 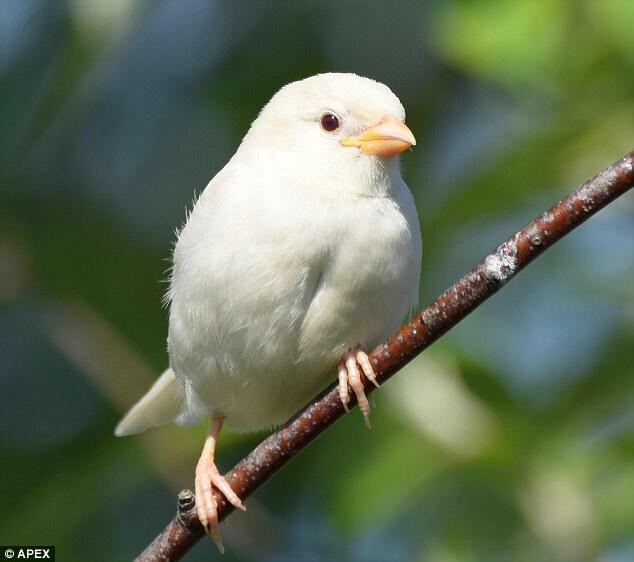 Since the bill, eyes, and legs color of the albino bird are pink and pale these cannot be used as a reference. Instead, rely on the shape, size, behavior, and habitat use. Birders rely on plumage as the primary clue for bird identification. 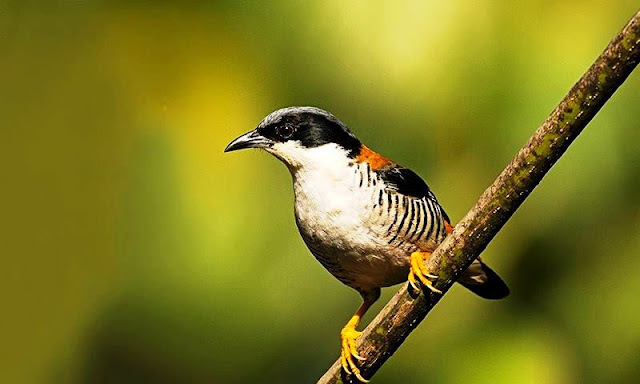 The fire-tailed myzornis (Myzornis pyrrhoura) is a bird species formerly placed in the Old World babbler family (Timaliidae). Its genus Myzornis is monotypic, and has recently been placed in the (much reduced) Old World warbler family Sylviidae. 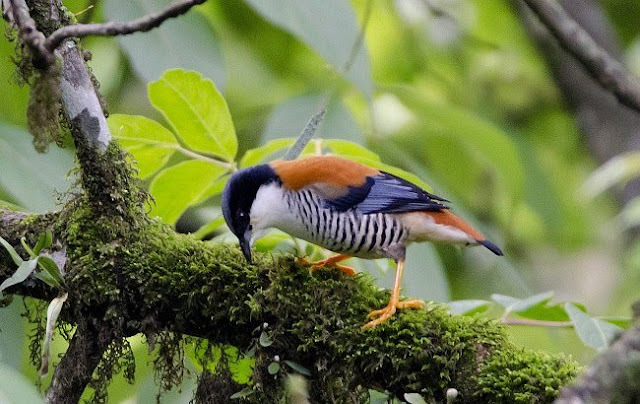 The species is found in Bhutan, China, India, Myanmar, and Nepal. 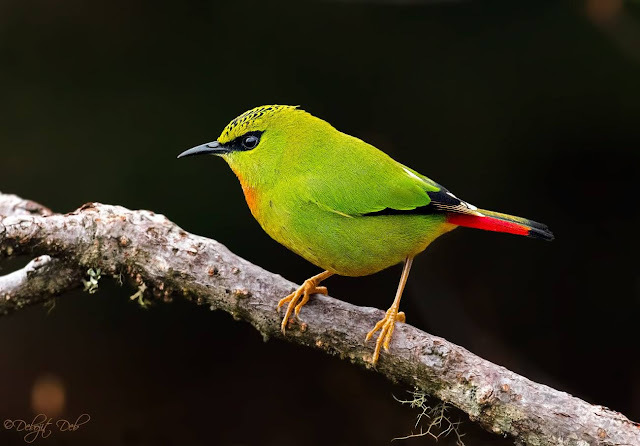 The fire-tailed myzornis is a small species of warbler, 11 to 13 cm long and weighing 10 to 13 g.
The fire-tailed myzornis has bright green plumage with a black mask around the eyes and black scalloping on the crown. 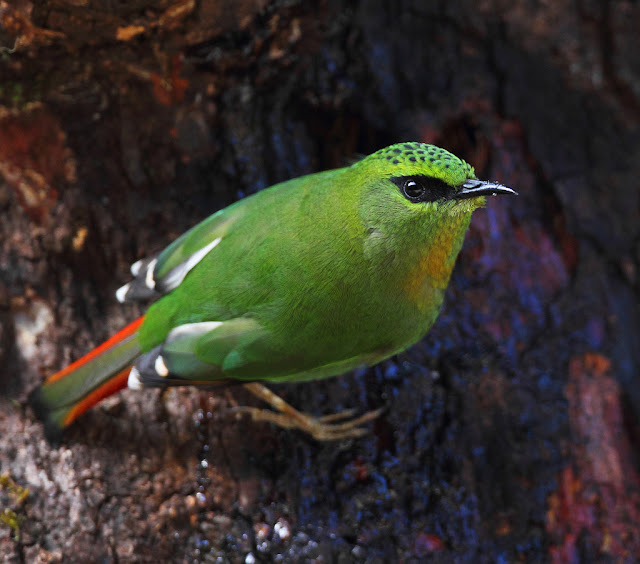 The fire-tailed myzornis prefers bamboo thickets, Rhododendron shrubs, birches, and junipers. 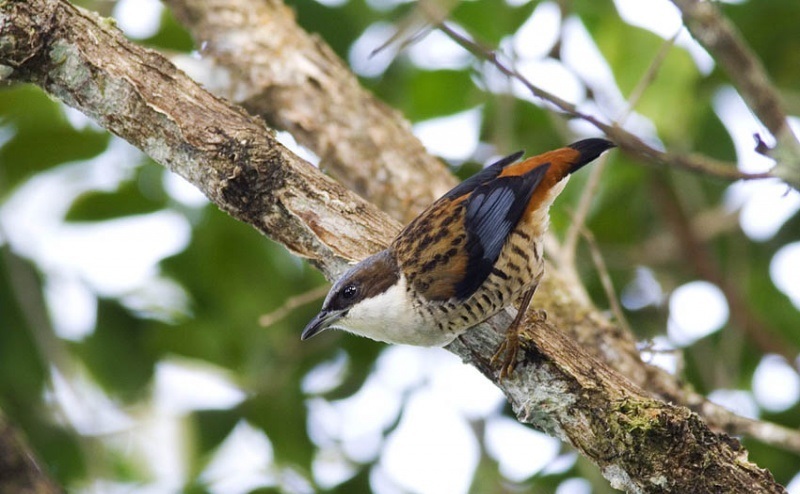 The species localized distribution and travels in small groups (3-4) or with other small babblers. 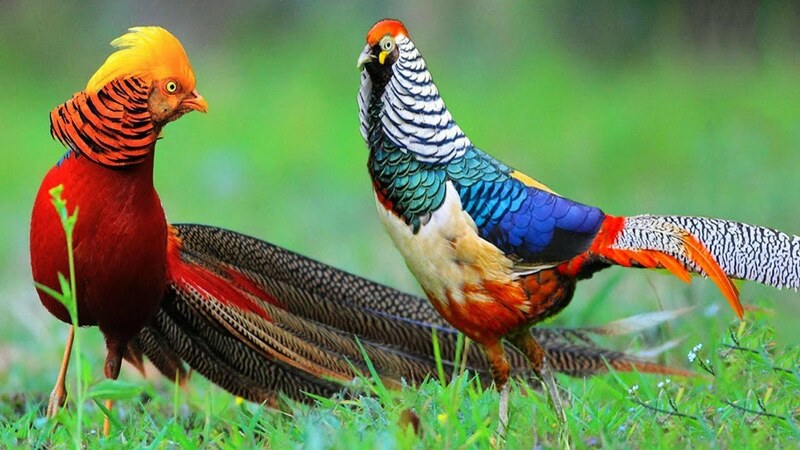 This species was socially monogamous and sexually dimorphic both in plumage pattern and body size. The species wing is black and white with a streak of bright red and the sides of the tail are red too. The bill is long, slightly curved and black. 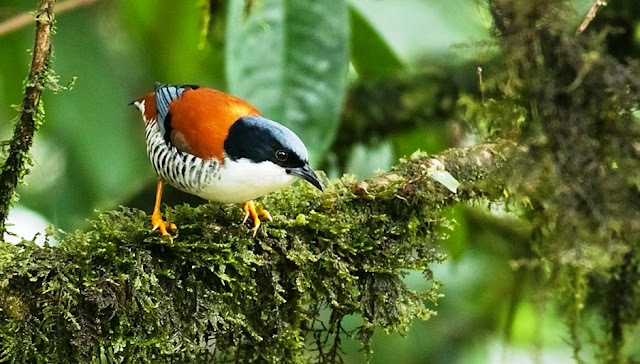 Its natural habitat is subtropical or tropical moist montane forests. 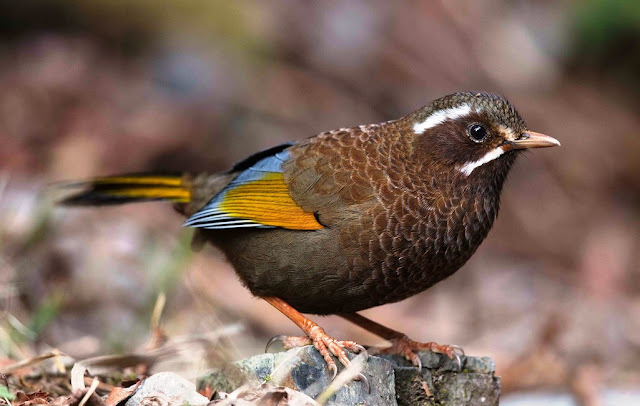 It is a common species in the upper ridges of the Sikkim and Arunachal Himalayas. 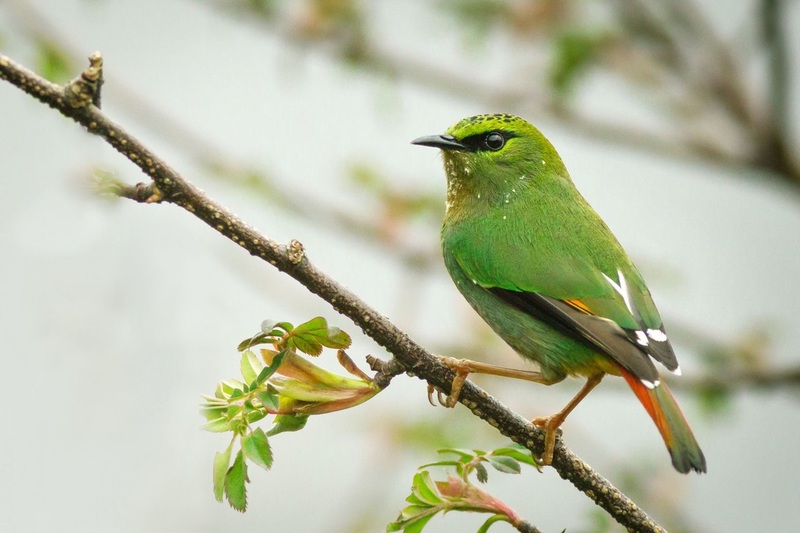 The fire-tailed myzornis is mostly seen between 9,000 feet to 13,000 according to climatic conditions and seasonal variation. The fire-tailed myzornis is capable of sustained stationary hovering flight much like sunbirds. It can also be seen running up moss-covered tree trunks like a creeper. Myzornis had larger and heavier nests, fewer but larger eggs, and a longer nestling period. 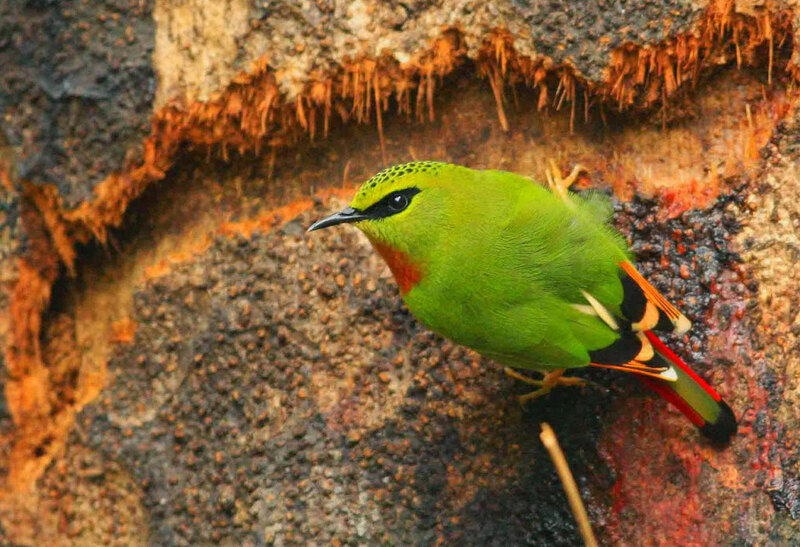 The fire-tailed myzornis normally eats insects, arachnids, berries, and flower nectar. 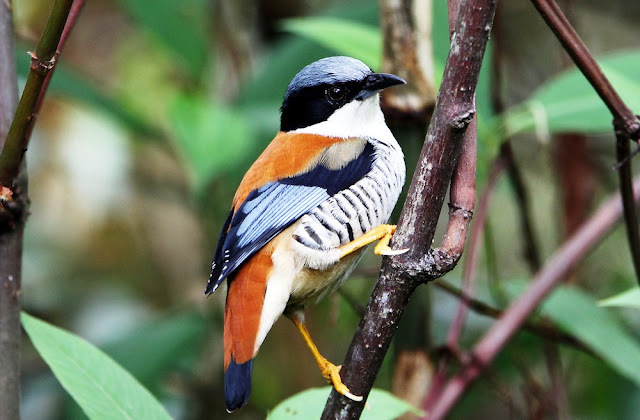 The bird breeding season starts from April to July. Males and females made virtually equal contributions in breeding activities, including incubation, provisioning, brooding, and nest sanitation. The nest were built by both sexes and a globular structure made of moss and placed 1 to 6 m above the ground in moss, on a rock face or in a trunk with moss and lichen. 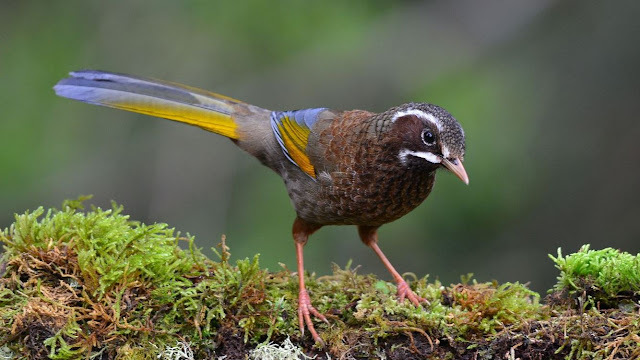 The White-whiskered Laughingthrush or Formosan laughing thrush ‘Garrulax morrisonianus’ is a species of bird in the family Leiothrichidae. The White-whiskered Laughingthrush is a large 26 to 28cm with a distinctive face pattern. This specie is endemic to montane forests of the island of Taiwan. 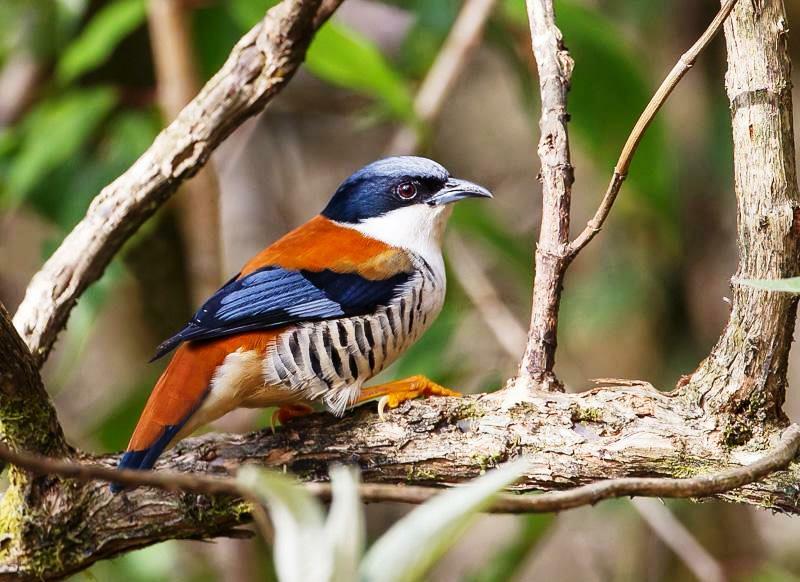 This beautiful Taiwanese mystery bird lives on the sides of mountains and engages in a migration that is not triggered by season what triggers its movements and where does it go. The White-whiskered bill is thrush like and yellowish to horn colored. 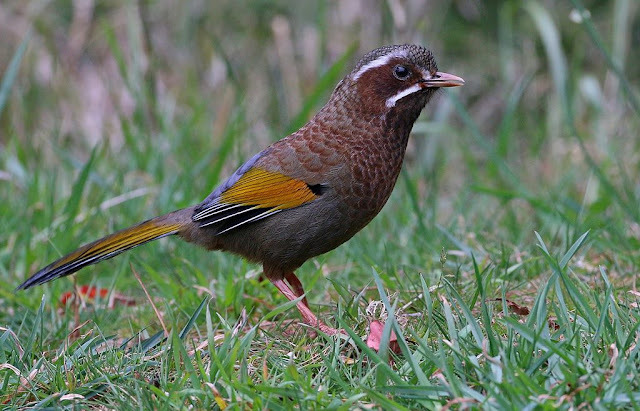 The White-whiskered Laughingthrush eyes are black and legs are strong and brownish pink. The bird body weight is approximately 77 grams. The bird didn’t afraid of humans as it is very sociable species that often seen in large groups. The bird is very friendly and approachable; often moving about foraging for berries in pairs or small parties. It has a nice range of calls, some very loud. 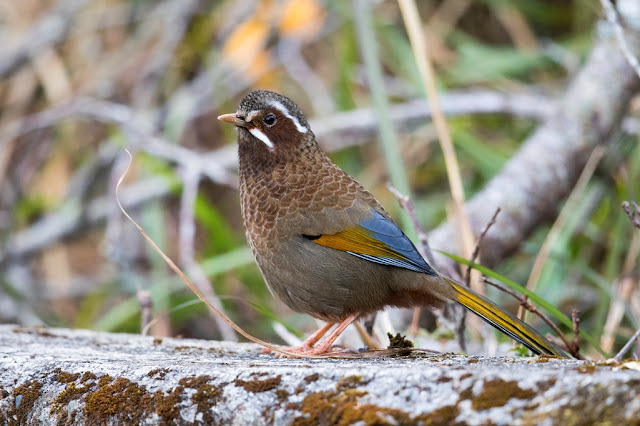 The White-whiskered Laughingthrush, naturally found see at elevations of 2500 meters above sea level. The species found in tall grass, forest undergrowth, thickets, and forest edge scrub. The White-whiskered Laughingthrush enter open areas by roadsides and in forest clearings. 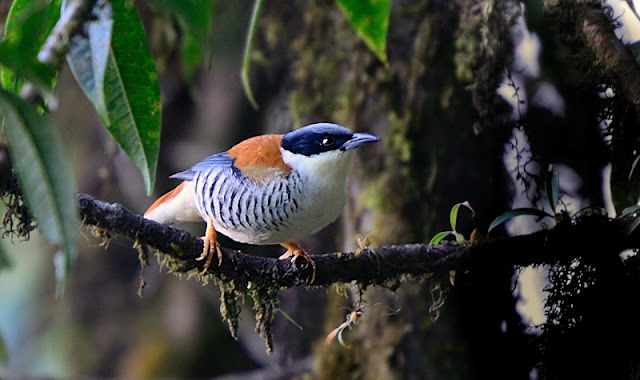 It is more abundant in mixed coniferous forest than in grassland, pine woodland, or spruce forest; along with Taiwan fulvetta (Fulvetta formosana) and Taiwan yuhina (Yuhina brunneiceps). The bird is habitually a dominant species in a ground omnivore. This species pairs are monogamous and stay together even in non-breeding periods. The yellow bittern (Ixobrychus sinensis) is a small bittern. It is of Old World origins, breeding in the northern Indian Subcontinent, east to Japan and Indonesia. It is mainly resident, but some northern birds migrate short distances. It has been recorded as a vagrant in Alaska and there is a single sighting in Britain, from Radipole Lake, Dorset on November 23, 1962 – however, the BOU have always considered this occurrence to be of uncertain provenance and currently it is not accepted onto the official British List. This is a small species at 36 to 38 cm (14 to 15 in) in length, with a short neck and longish bill. The male is uniformly dull yellow above and buff below. The head and neck are chestnut, with a black crown. 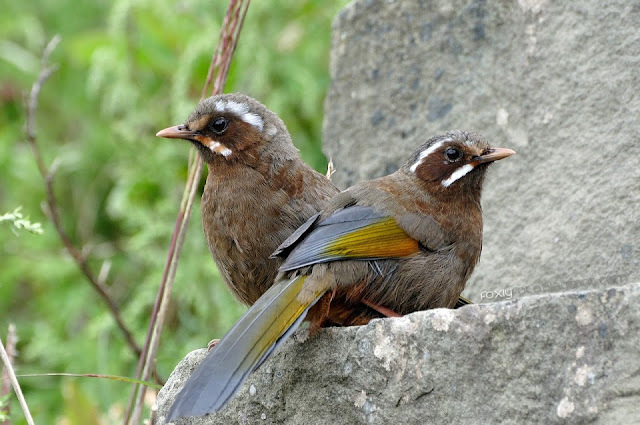 The female's crown, neck and breast are streaked brown, and the juvenile is like the female but heavily streaked brown below, and mottled with buff above. Yellow bitterns feed on insects, fish and amphibians. The Hoopoe is also known by “Upupa epops”. ‘Upupa’ and ‘epops’ are the Latin and Ancient Greek names for this species. Hoopoes are a regular passage migrant to the UK, usually during spring and autumn, with approximately 100 birds visiting each year. They are usually seen along the south and east coasts of England, but can appear anywhere. 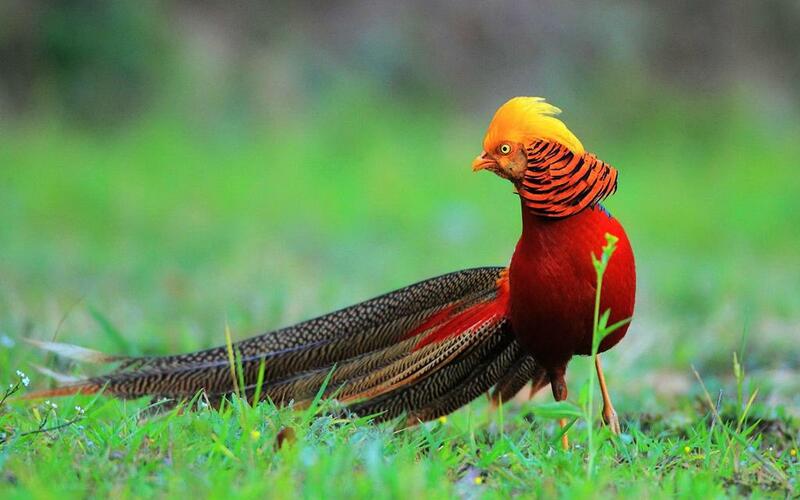 An exotic looking bird that is the size of a mistle thrush, weighing from 47 to 87g. The hoopoe has has a pinkish-brown body, measuring 26 – 28 cm in length. It has striking black and white striped wings measuring a wingspan of 42 – 46cm. When in flight, the wings are broad and rounded. The tail is black with a broad white band. Juveniles are duller with off-white wing bars. The hoopoe also has a long pinkish-brown crest which it raises when excited, and when landing the crest is usually raised into a fan-shape for a brief moment. The cattle egret is a cosmopolitan species of heron found in the tropics, subtropics and warm temperate zones. It is a white bird adorned with buff plumes in the breeding season. 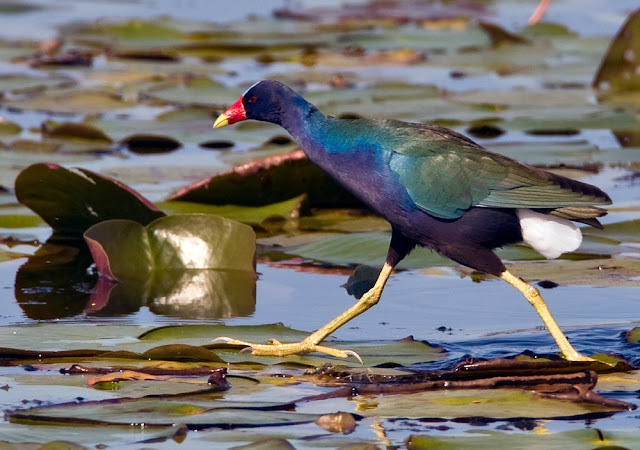 It nests in colonies, usually near bodies of water and often with other wading birds. B. i. coromandus adult shows the red flush on the legs and bill present at the height of the breeding season. Bicoromandus differs from the nominate subspecies in breeding plumage, when the buff color on its head extends to the cheeks and throat, and the plumes are more golden in colour. Cattle Egret Bubulcus ibisis a Beautiful colorful bird. 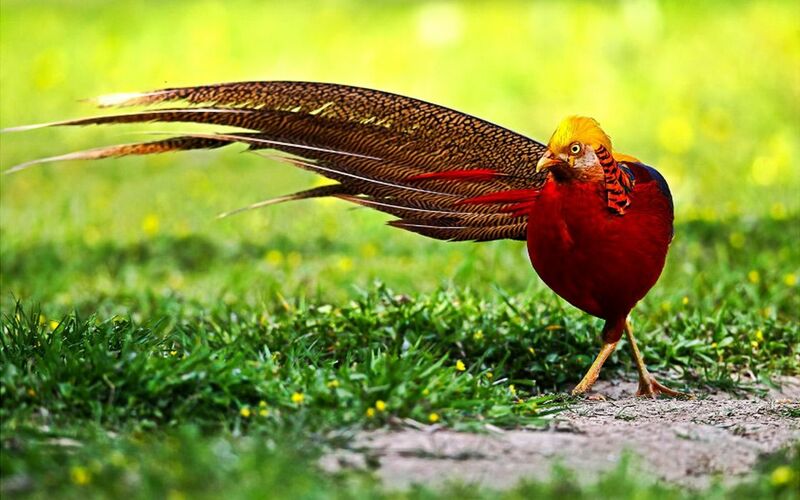 The stunning golden pheasant is a gamebird of the order Galliformes (gallinaceous birds) belongs to the family Phasianidae (pheasants). 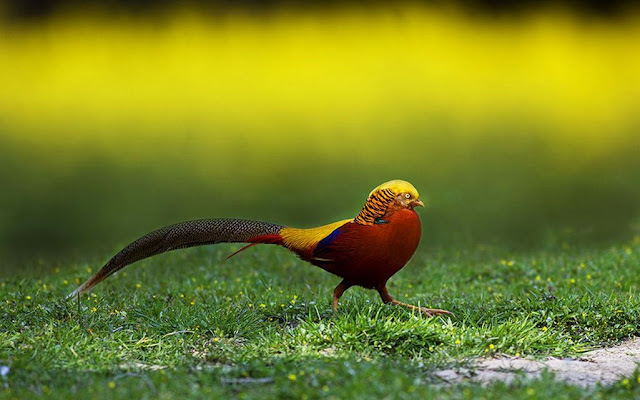 The Golden Pheasant or Chinese pheasant “Chrysolophus pictus” is native to forests in mountainous areas of western China. Its feral populations have been established in the UK, Canada, United States, Mexico, Peru, Colombia, Bolivia, Chile, Argentina, Uruguay, Germany, Belgium, Netherlands, France, Ireland, Australia and New Zealand. By natural habitats golden pheasant are particularly aggressive because they have a “harem” structure, mating with several hens a year. The adult golden pheasant is approximately 90 to 105 cm in length. The golden pheasant is unmistakable with its golden crest and rump and bright red body. The deep orange "cape" can be feast in display, appearing as an alternating black and orange fan that covers all of the face but its bright yellow eye with a pinpoint black pupil. 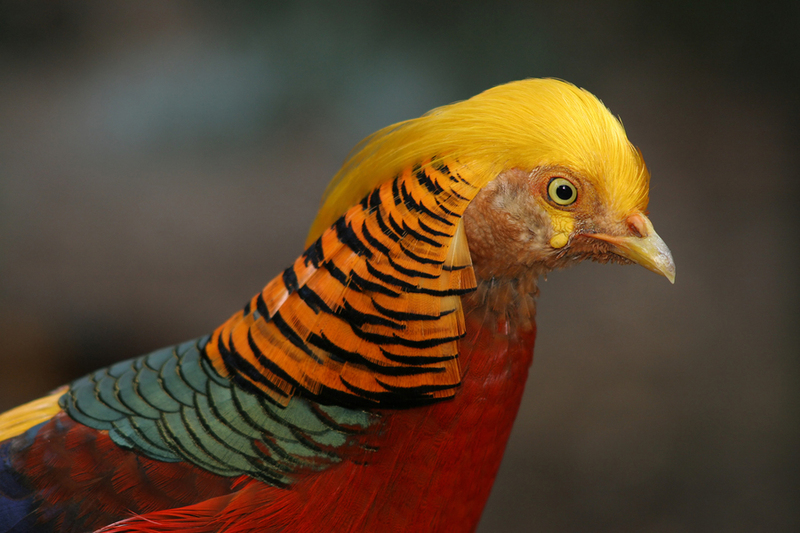 The Golden pheasants normally lay 8 to 12 eggs at a time and will take 22 to 23 days for incubate. After the pheasant chicks hatch, they are able to run and eat as soon as they are dry. 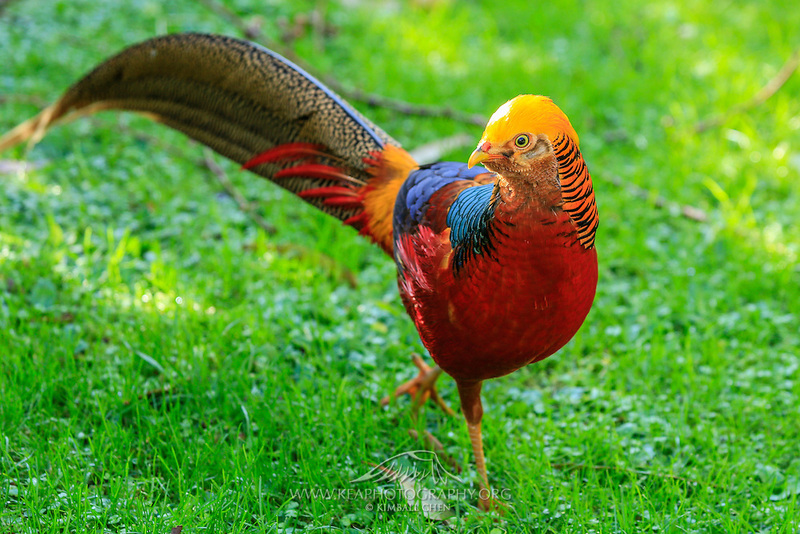 Moreover Golden Pheasant eggs are alike in size to a duck egg, making them slightly larger than a chicken. The egg taste is light and less rich, like a quail egg. 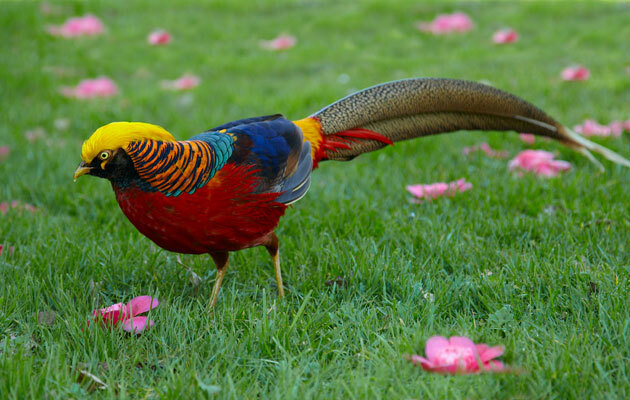 Golden Pheasants are omnivorous birds and therefore pheasants eat both plant and animal matter. 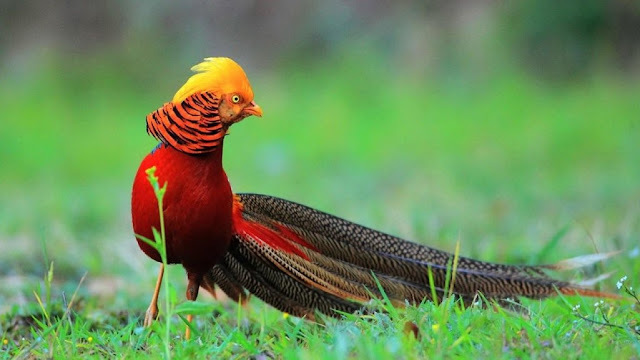 The female golden pheasant is much less showy, with a duller mottled brown plumage alike to that of the female common pheasant. She is darker and more slender than the hen of that species, with a respectively shorter tail 24 to 31 in length. Her breast and sides are barred buff and blackish brown, and the abdomen is plain buff. She has a buff face and throat. Moreover few abnormal females may later in their lifetime get some male plumage. Also, lower legs and feet are a dull yellow. 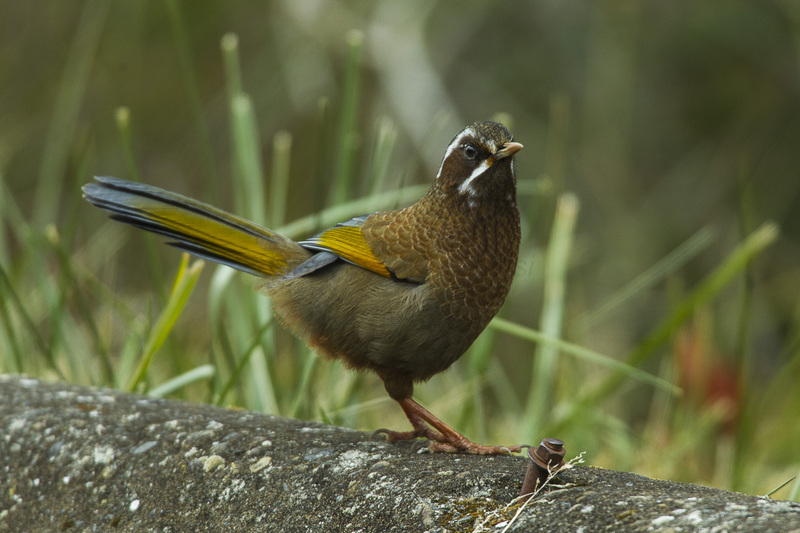 Hence, both males and females have yellow legs and yellow bills. Keeping Golden Pheasants can make wonderful pets. Many people are used to see wild pheasants with their beautiful plumage; they are a great addition to any aviary and can live with other birds such as chickens and ducks. 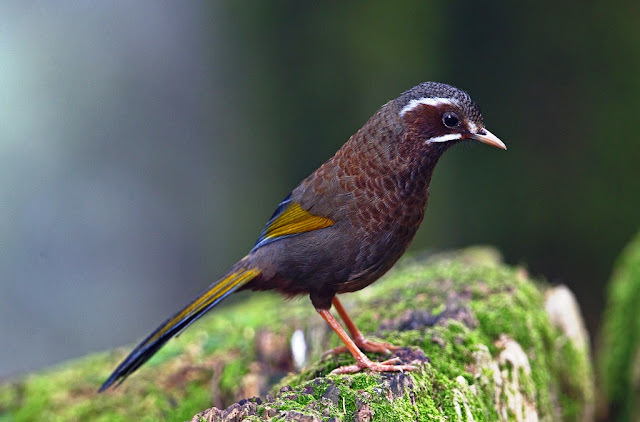 Regardless of the male's showy appearance, these hardy birds are very tough to see in their natural habitat, which is dense, dark young conifer forests with sparse undergrowth. Therefore, little is known about their behavior in the wild. The golden pheasant feed consist on the ground grain, leaves and invertebrates, but they roost in trees at night. They tend to eat berries, grubs, seeds and other types of vegetation. 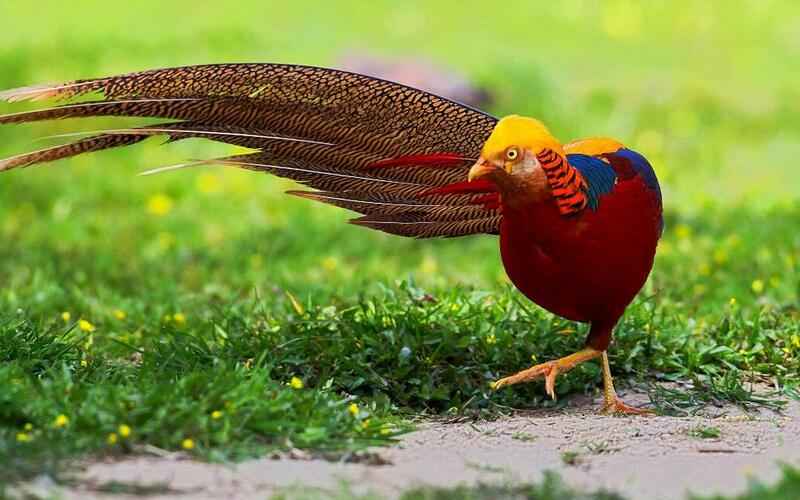 The Golden Pheasant is able to fly fast for short distances, they prefer to run. If startled however, they will burst to the sky in a "flush." Whereas fly clumsily in short bursts, and spend most of their time on the ground. If startled, they can suddenly burst upwards at great speed and with a distinctive wing sound. The male golden pheasant has a metallic call in the breeding season. 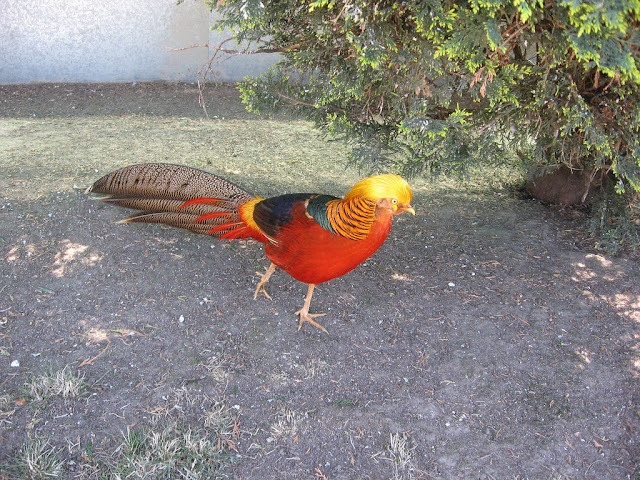 The golden pheasant is usually found in zoos and aviaries, but often as hybrid specimens that have the similar Lady Amherst's pheasant in their lineage. There are also different mutations of the golden pheasant well-known from birds in captivity, including the dark-throated, yellow, cinnamon, salmon, peach, splash, mahogany and silver. Moreover, in aviculture, the wild type is referred to as "red-golden" to differentiate it from these mutations. Wild pheasant is very lean and if not cooked with care will taste like very dry, very bland, and chicken so, pheasant has a mild taste. The meat is white, like chicken, but has a more complex and subtle flavor. 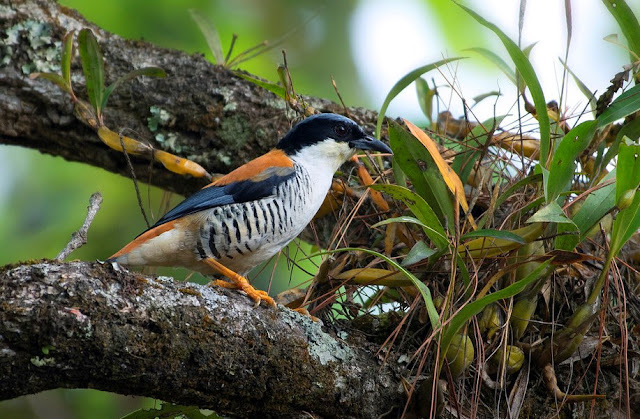 The Himalayan cutia “Cutia nipalensis” is a bird species in the family Leiothrichidae. 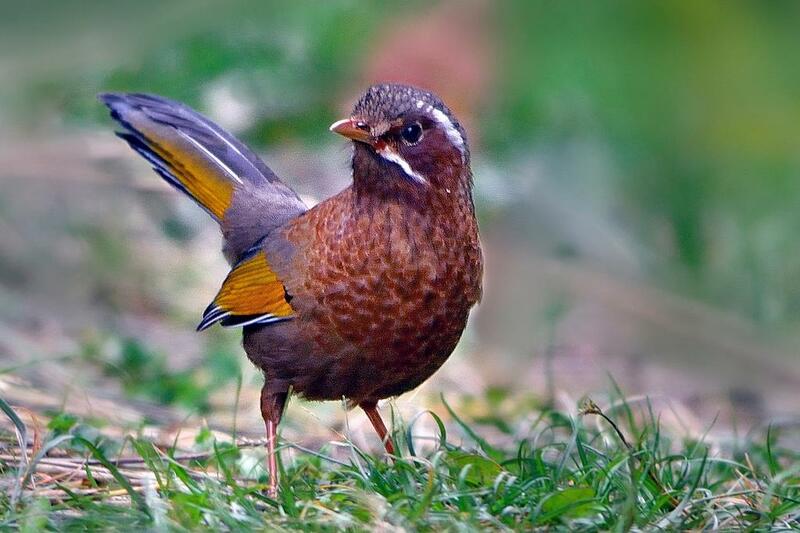 This amazing species inhabits the Himalayan region, found from north India along the Himalayas Nepal, Bhutan, India, Pakistan, Burma, adjacent south China , Thailand, Laos, Vietnam and peninsular Malaysia. The Himalayan Cutia diet consists of insects, larvae, pupae, gastropods, insect eggs, seeds and berries and pine cones. 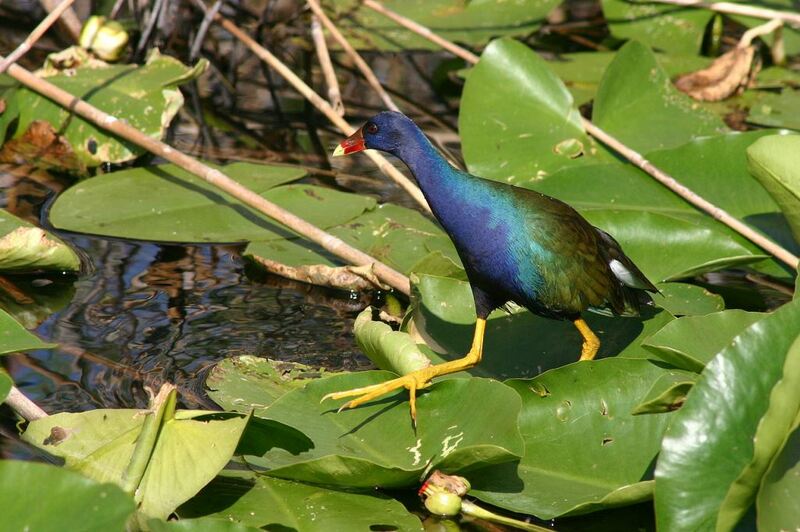 The species breeding season start from April to June. The bird like to make nest is an open cup made of pine needles and moss, placed at base of a pine branch against the trunk, 3 to 3.5m above the ground, sometimes up to 20m in a broadleaf tree. The bird scientific name means "the khutya from Nepal". 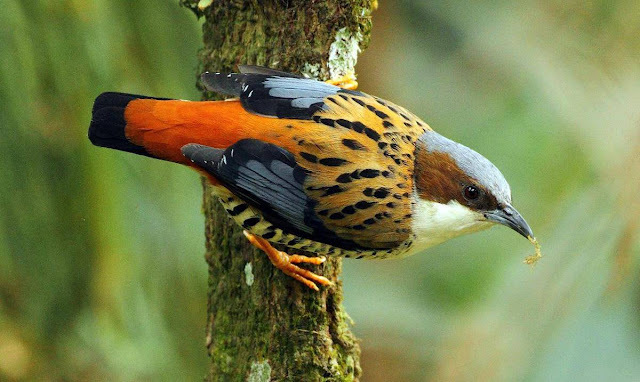 However, the Cutia is derived from the Nepali name for these birds, and nipalensis is Latin for "from Nepal". 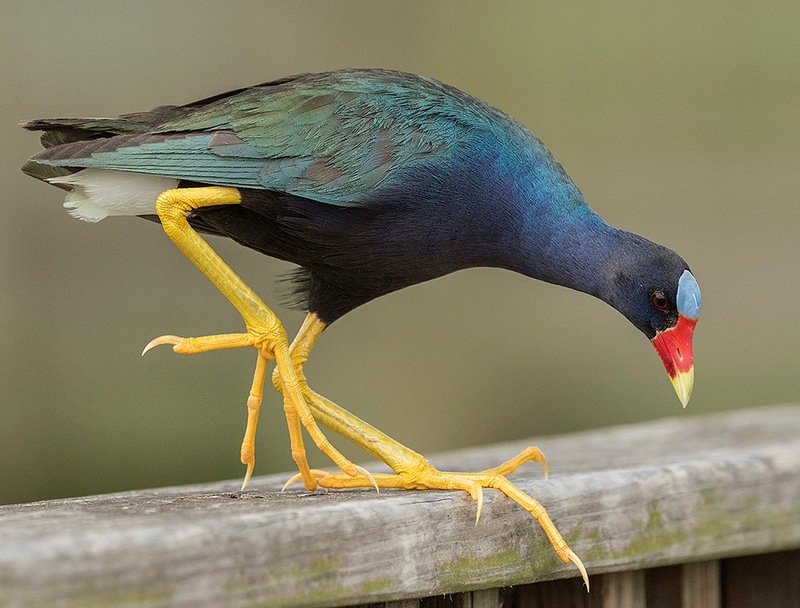 Well, just like the Turaco, the American purple gallinule (Porphyrio martinicus), has an exceptional color combination of a red beak, blue body, green wings and yellow legs. 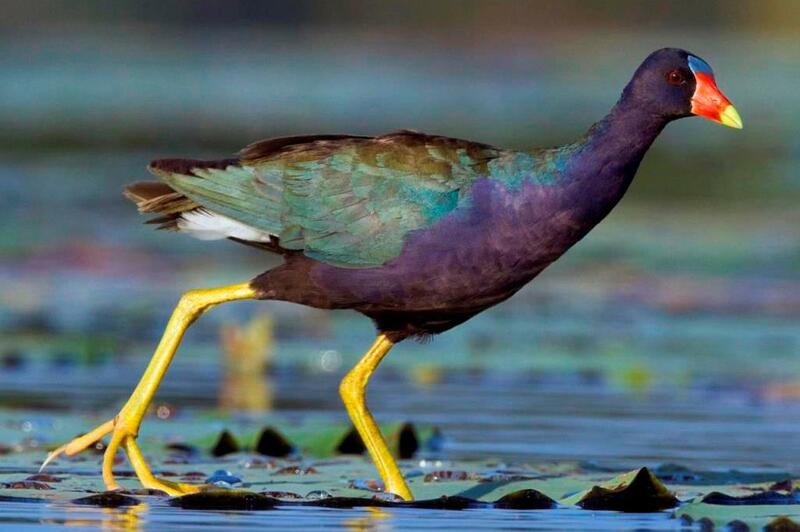 They’re in the order Gruiformes, which means "crane-like", and within the order there are cranes, rails, and crakes. 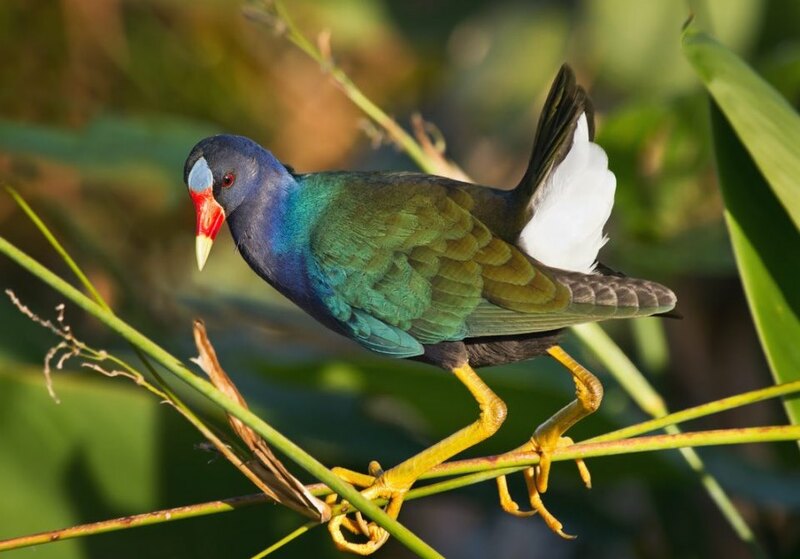 Thus, the purple gallinule is a rail species which places them into the family, Rallidae. The purple gallinule is a swamphen since it has the genus Porphyrio. The yellow-legged porphyria is found in the southeastern states of the United States during the breeding season. They are resident’s species in southern Florida, Gulf and Pacific coast of Mexico, parts of Central America, and Caribbean. 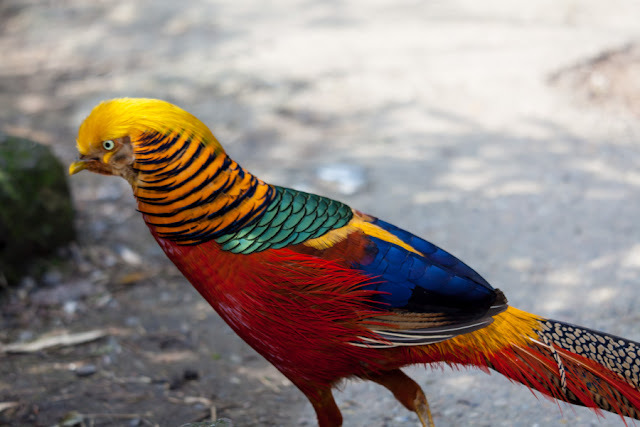 This is medium size colorful bird reaches a length of 26-37cm in length while spanning 50-61cm across the wings. The captivating bird weighing is 141-305 g. Moreover, the wingspan that helps in to glide up for short periods of time with its legs dangling under its body. They are able to fly when they are 5 to 7 weeks old. Young use tiny claws on their wing tips to crawl on bushes and out of the nest. An adult purple gallinule has purple-blue plumage that will shine green and turquoise when in perfect lighting also have a pale blue shield on their forehead, which connects with the red and yellow bill. However, low light or darkness can dim the bright purple-blue plumage of the adult to make them look dusky or brownish. 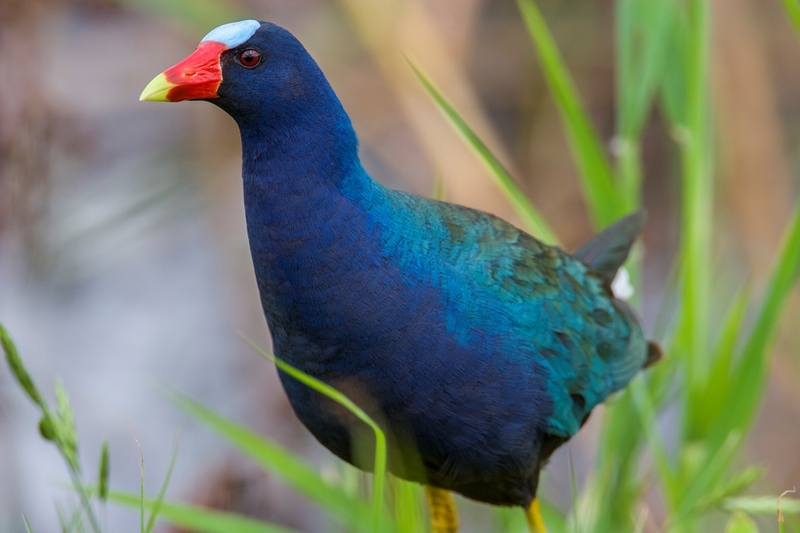 So, forehead shield color differentiates them from same species such as common gallinules. Juvenile birds are light brown with hints of green-bronze on the wings and black and white under-tail coverts. This species can found in freshwater marshes that have dense stands of vegetation. 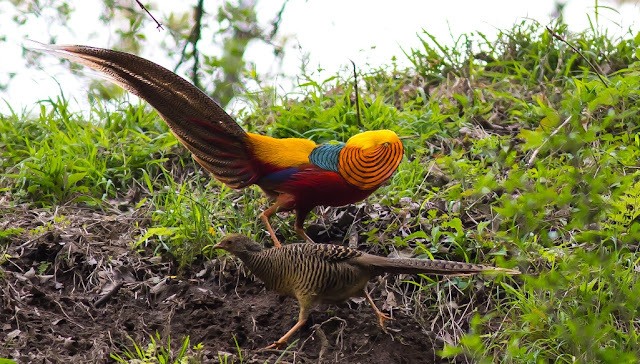 However, during the non-breeding season, they are found more inland in parts of Central America. They can also be found within South America during migration, and occasionally wander away as far north as Canada. 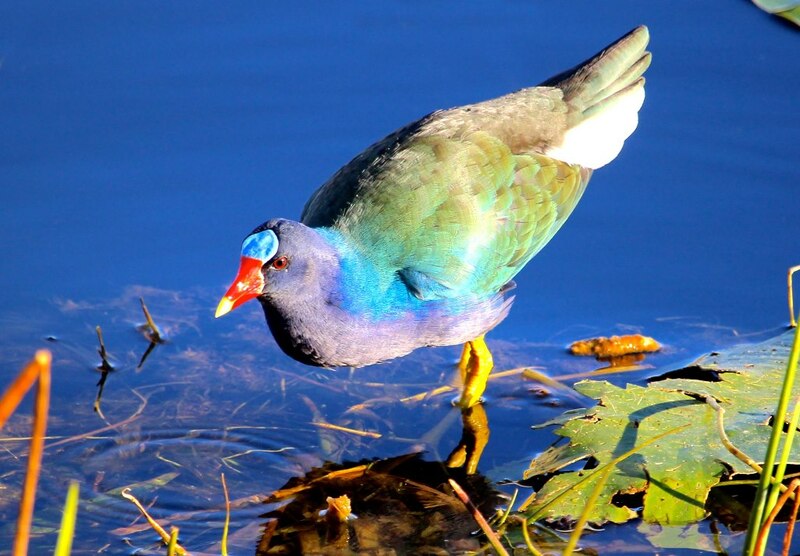 This species has been recorded in Cape Province of South Africa, most of all of the birds where juveniles, so it is very unlikely that a breeding ground will be established there. 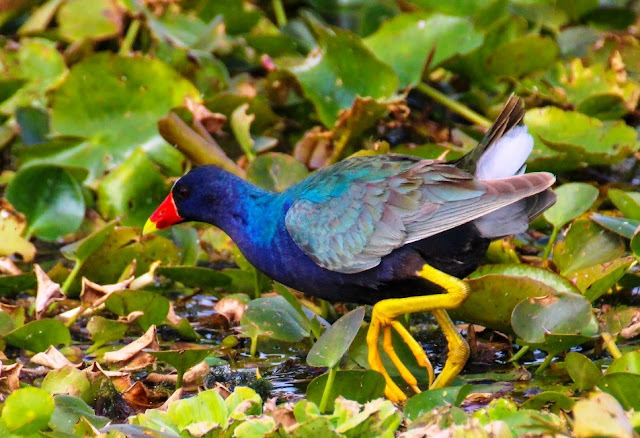 Further, purple gallinules have long legs with long toes that support them walk onto of the floating vegetation, by distributing their weight. They have an anisodactyl toe arrangement that also benefits them to cling to plant stems. 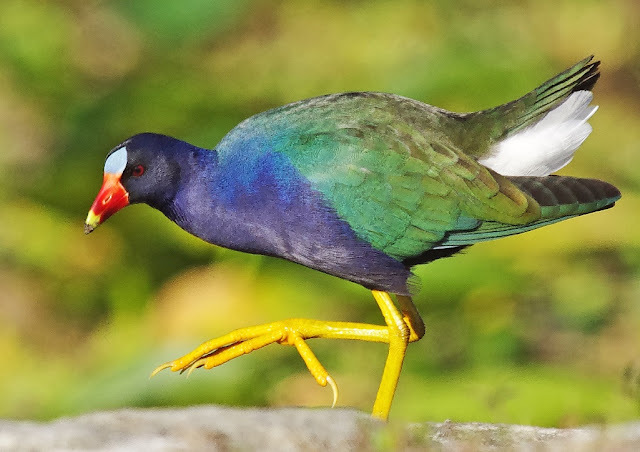 The purple gallinule is not a very good flyer, but it is an excellent wader. 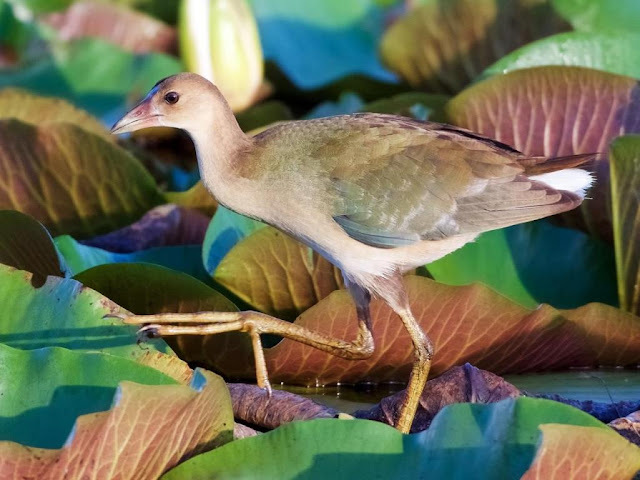 It uses its long toes to distribute its weight, and it can even walk on lily pads. In the short distance fly, their legs hang down. 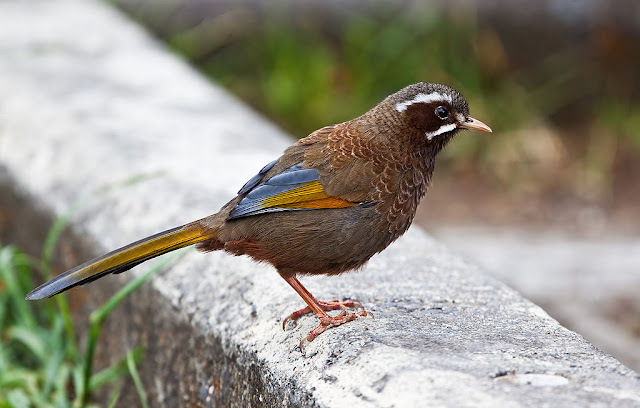 The species has the greatest pattern of vagrancy amongst rails, with individuals recorded as far west as California and the Galápagos Islands, as far north as Iceland and Labrador, as far south as Tierra del Fuego, and as far east as Great Britain, Portugal and Cape Verde. The bird nests are floating nest that are within the dense vegetation along shallow margins of lakes, rivers, and marshes shorelines. They normally lay 5 to 10 eggs, which are a buff or pale pink with brown and purple spots. Their nest and territories are defended by the monogamous pair and the juveniles remain in the territory to support care for siblings. Purple gallinules are omnivorous ground feeders. 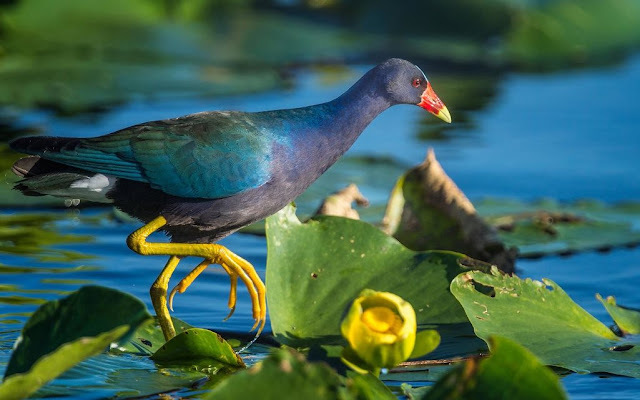 The species diet consists of variety of plant and animal matter within their foods they consume seeds, leaves and fruits of both aquatic and terrestrial plants, insects, frogs, snails, earthworms, fish, and sometimes even the chicks of other birds, and when lucky swamp eels. 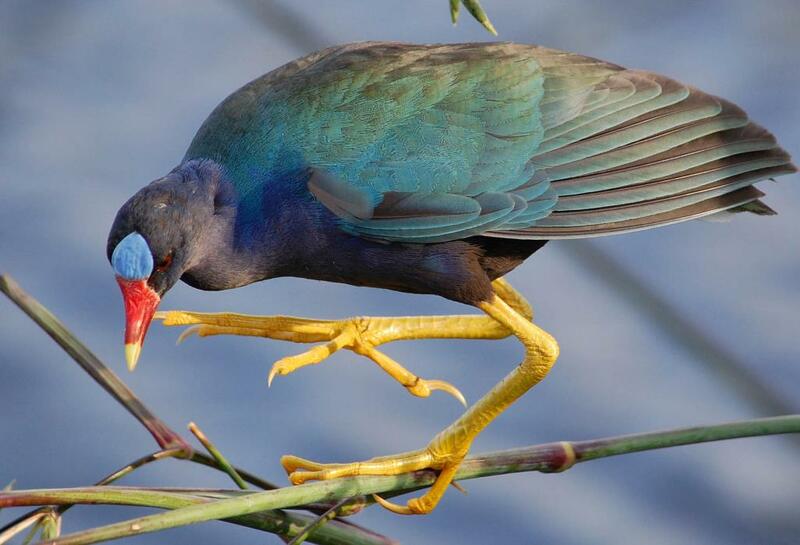 Furthermore, the purple gallinules courtship occurs while they’re standing, and can be displayed by both sexes. Courtship occurs when the birds of a pair have been separated, and then wander close to one another. The courtship display entails the bird standing in a slightly bent forward position, with the neck outstretched, and holding the wings at an almost right angle to the body and bent at the wrist, so that the primaries are angled down. 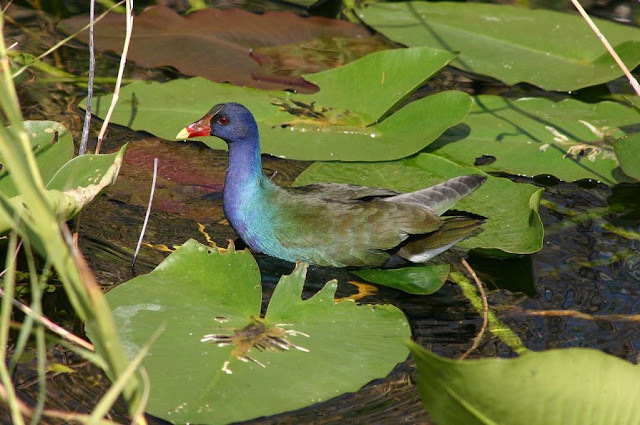 Purple Gallinule populations are probably decreasing in their range, due to freshwater wetland loss in the United States, and in South and Central America. The birds have been destroyed in rice fields by aerial spraying with pesticides. They also are preyed upon by alligators and turtles. However, this colorful species is not considered to be globally threatened.